Celebrating the NRHA Hall of Fame while benefiting the nonprofit Reining Horse Foundation (RHF), Sliders’ Night Out will be held November 28 in Oklahoma City at State Fair Park. The goal of the Affiliate Ambassador Recognition Program is to bring together a diverse community of reining ambassadors and to connect with the global reining community at multiple levels. NRHA will reach out to its affiliates around the world to identify individuals making an impact on reining at the affiliate level. 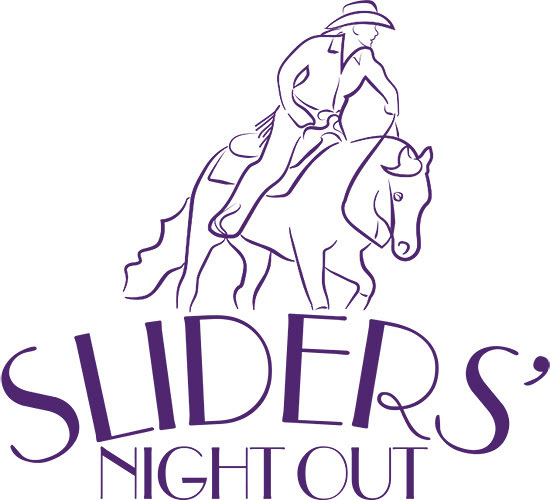 From each of eight U.S. affiliate regions, plus those in eastern and western Canada, South America, Mexico, Europe and Australia, a special selection committee will choose a representative and their guest to attend Sliders’ Night Out on November 28 at State Fair Park in Oklahoma City. Sliders’ Night Out coincides with the NRHA Futurity & Adequan® North American Affiliate Championship Show, regarded as the world’s premier reining competition, November 22-December 1. These special affiliate ambassadors will be eligible to have a portion of their travel costs reimbursed and receive two complimentary reserved seats for Sliders’ Night Out, recognition in the commemorative program for them and their designated affiliate and two complimentary admission badges to the NRHA Futurity. At Sliders’ Night Out 2018, past NRHA Hall of Fame inductees will be hosted and honored as special guests, and they will welcome new inductees Bill Bradley of Ohio and the mare Dun It For Chex. In addition, equestrian, reining supporter and actor William Shatner will be recognized with the NRHA Dale Wilkinson Lifetime Achievement Award. Everyone is invited to make a donation to attend, and RHF Board members are encouraging reining breeders, owners, exhibitors, NRHA Professionals, affiliates corporate partners and supporters to contribute. From major event underwriters and Hall of Fame table hosts to single seat donors, every person’s contribution is important. Gold and silver event donors and Hall of Fame table hosts can entertain Hall of Fame members as their table guests, bringing ample opportunities to mix and mingle with the icons of reining. The first Hall of Fame inductee was the late Dale Wilkinson, inducted in 1986. Today, the distinguished Hall of Fame includes nearly 100 people, horses and organizations for the sport that’s been in existence for more than a half century.